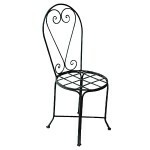 Wrought Iron Furniture became recently very popular for Home & Garden decoration. Many reasons can explain this fact (elegant design, nice colours, solidity, ...) but mainly the inexpensive price. 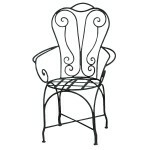 The Moroccan wrought iron chairs are handmade by blacksmiths craftsmen in Marrakesh, Morocco. 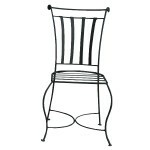 Usually, we find wrought iron chairs with mosaic tables zellij to decorate a garden, terrace or indoor. 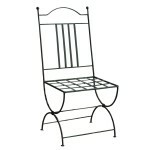 All our chairs are made of iron of 12 or 14 mm for a typical seat height of 40 cm. 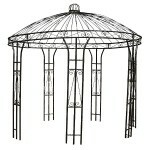 Here we present a fine selection of models for home and garden decoration full of charm. 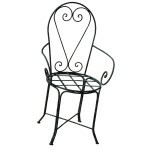 Wrought iron provides a further refinement when the chairs are arranged around a table zellig near a garden fountain. The resulting decor is sumptuous. 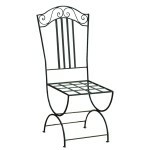 You can order custom chairs imagining your own design. Thank you to contact us for more informations. 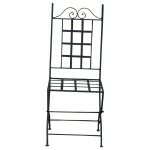 Wrought Iron chair from Morocco with a mesh seat for home décor.